EVESHAM TOWNSHIP, New Jersey -- Pop star Adam Levine has offered to pay the funeral expenses for a singer gunned down after a Florida concert. 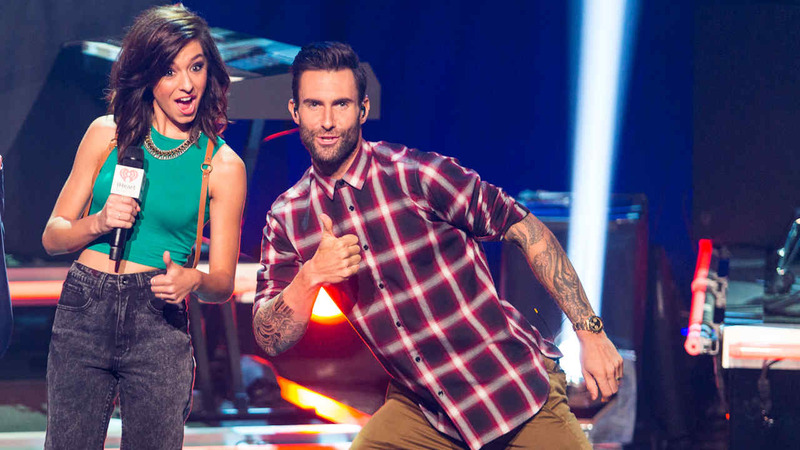 Levine mentored Christina Grimmie when she finished third on NBC's "The Voice" two years ago. Spokeswoman Carleen Donovan confirmed Monday that Levine made the offer. Grimmie's New Jersey hometown held a candlelight vigil Monday night to honor the 22-year-old killed Friday night as she signed autographs after a show in Orlando. She lived in Evesham, a small community about 20 miles from Philadelphia, before moving to Los Angeles in 2012. The suspect was identified as Kevin Loibl, who authorities say had no personal connection to Grimmie. A motive for the shooting hasn't been determined. Loibl fatally shot himself after being tackled by Grimmie's brother Marcus. Family, friends and fans gathered as hundreds paid tribute to Grimmie at the town's Memorial Complex, where photos of her graced the field. "It doesn't seem real," close family friend Hope Compton told the Courier-Post. "But we'll see her again in heaven." Compton told the newspaper that she flew to California to be with Grimmie's mother after the shooting and flew back with her Monday afternoon. Marcus Grimmie spoke at the vigil. "She loved this town," he told the crowd. "She loved this state. She loved singing. She loved the Lord and she loved me. She was my baby sister." The brother of Christina Grimmie speaks a vigil for his sister.